Great day sailer/ racer used only a few times. 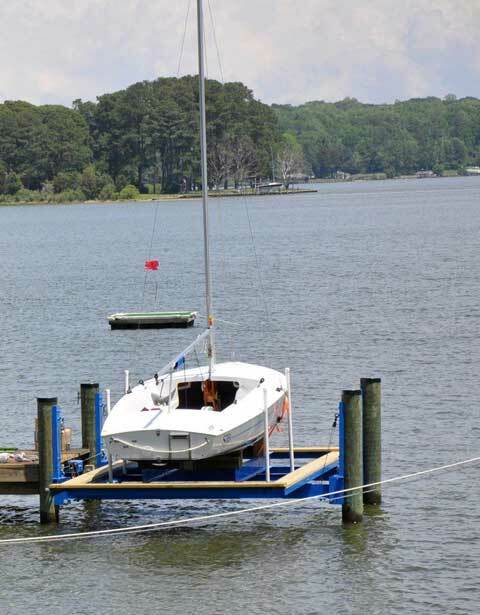 Perfect condition and perfect boat for people of all skill levels. The mast takes me about 10 minutes to put up and 5 minutes to take down, by myself. I will deliver the boat to you up to a certain distance. I've kept it on a boat lift the entire time it was not being sailed so the bottom has not paint at all on it. I kept it under a North Sail boat cover that covered everything all the way to the water line so it has spent very little time in the sun. If you are looking for a new boat that won't turn into a money pit or won't eat up your weekends with maintenance, this is it. I got it with the racing package so it has all the extra lines and gear. The spinnaker has never been unpacked so it is still perfectly folded in its plastic bag. The main and head are clean and have been kept in sail bags when not in use. It has the swim ladder, grab bar and motor mount factory installed. I did not modify any part of the boat at all. Shoot me an email if you are interested. The picture listed is one of the few I have.